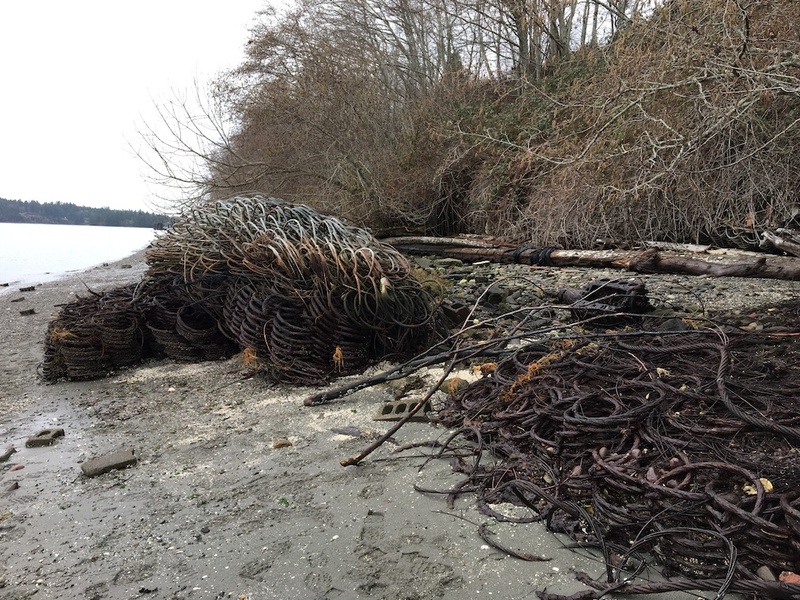 An ecosystem-restoration project that would replace two bridges across the Duckabush River and restore a 38-acre estuary on the west side of Hood Canal has moved into the design phase with funding from state and federal governments. 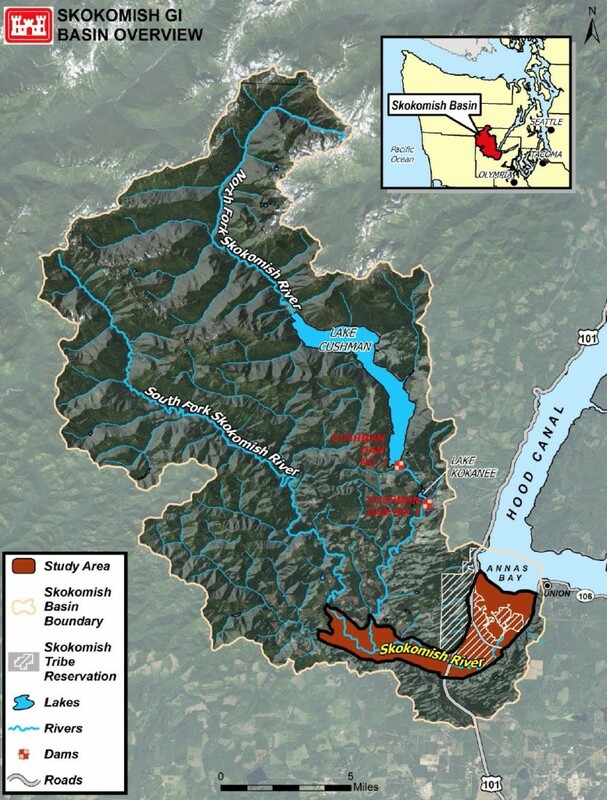 The project, which would improve habitat for five species of salmon along with a variety of wildlife, is the subject of a design agreement between the Washington Department of Fish and Wildlife and the U.S. Army Corps of Engineers. The Duckabush restoration was one of the top projects identified through the Puget Sound Nearshore Estuary Restoration Project, or PSNERP, a collaboration among WDFW, the Corps and other partners to determine where restoration dollars would best be spent. 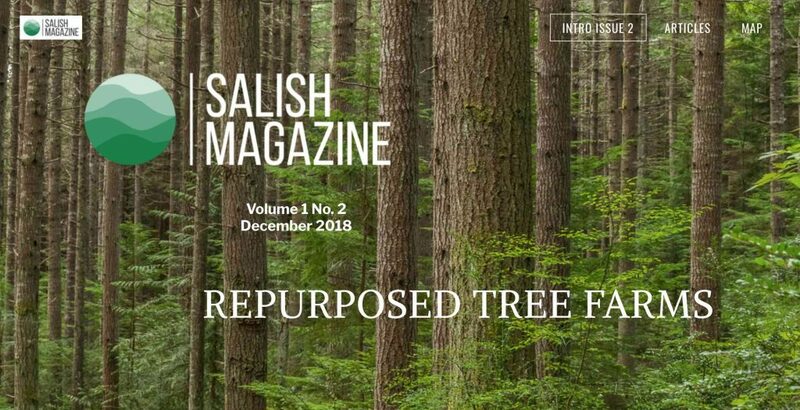 Chinook salmon, the primary prey of the critically endangered Southern Resident orcas, are expected to benefit from improved spawning and rearing habitat in the Duckabush River and estuary. Duckabush chinook are part of the mid-Hood-Canal population, which is among the stocks that have dwindled to low levels, forcing unusual reductions in salmon fishing — not only in Puget Sound but out to the coast. 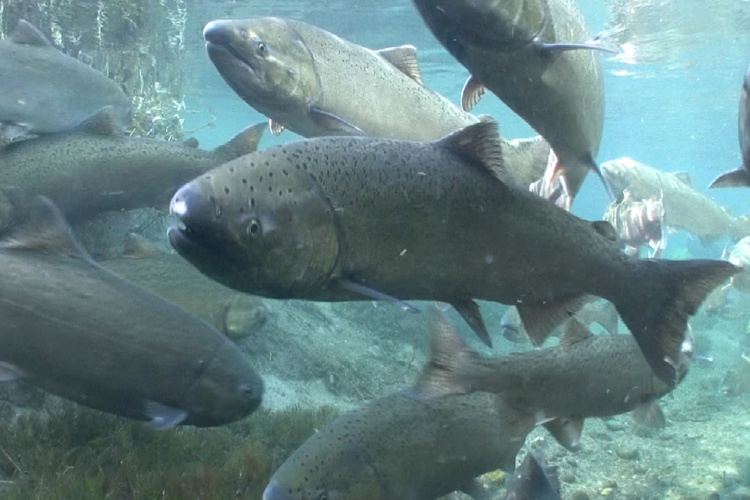 In addition to chinook, the restoration is expected to benefit chum (both summer and fall populations), pink and coho salmon, along with steelhead. 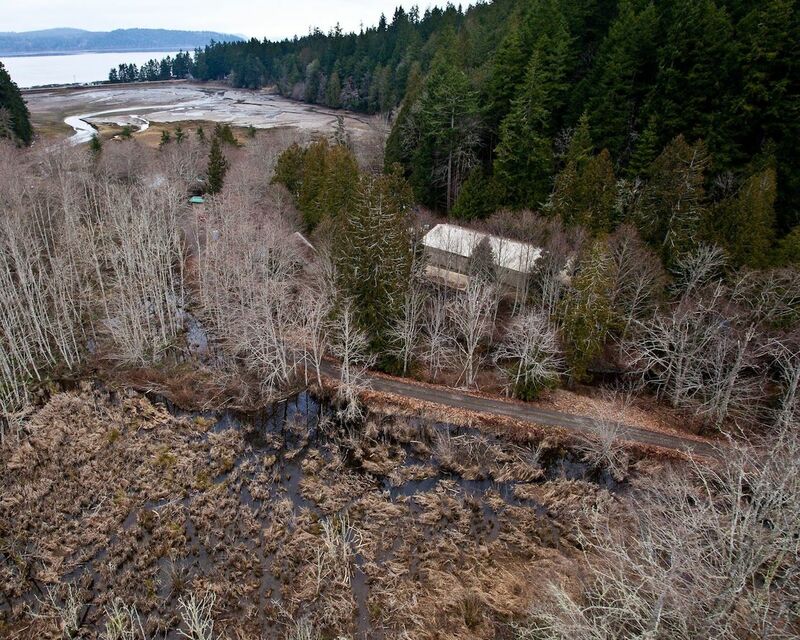 The Duckabush estuary was bisected years ago when fill material was laid down in the marshlands to form the base of Highway 101. The river was constrained into two small channels spanned by what are now aging bridges. A conceptual design for the restoration project calls for removing the fill along with the two bridges, both considered functionally obsolete, and building a modern 2,100-foot-long bridge to span the restored estuary. The bridge will be elevated above the existing road level to maintain surrounding elevations. An added benefit to the elevated bridge is that an elk herd in the area will be able to cross the road under the bridge, avoiding hazardous conflicts with traffic that frequently occur now. 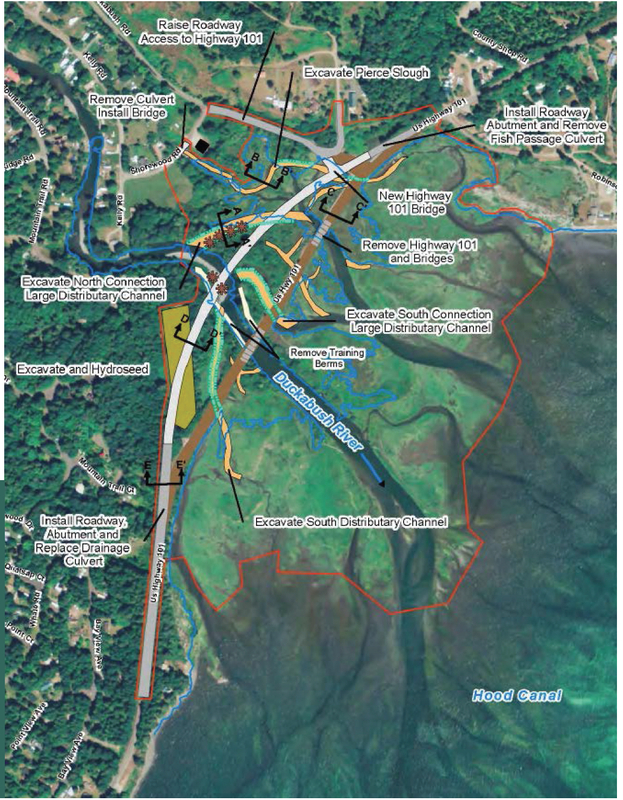 The project, including the roadwork and a long list of other changes to restore the estuary (see diagram below), could cost up to $90 million, with 65 percent paid by the federal government. 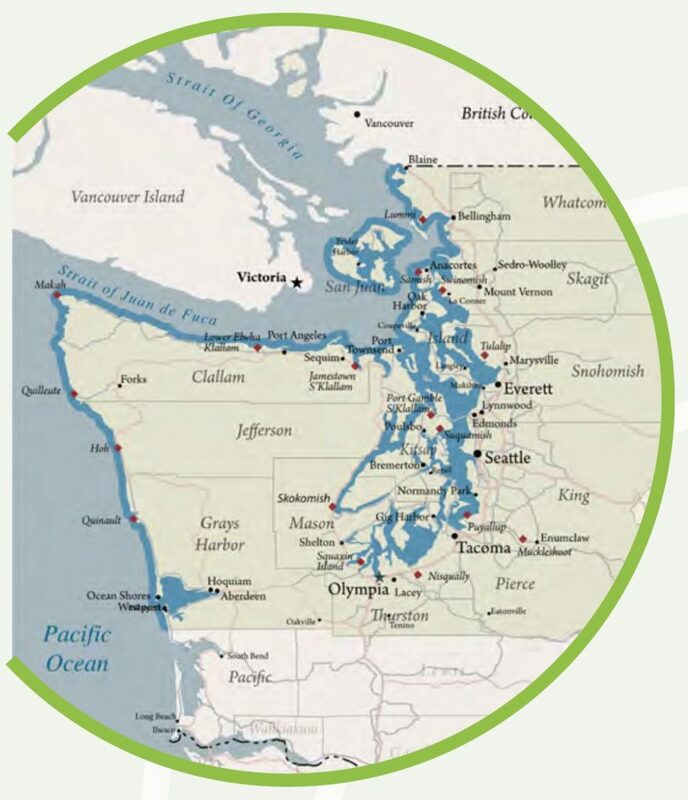 Besides benefitting the ecosystem, the project is expected to improve transportation, decrease flooding and possibly upgrade water quality, according to Seth Ballhorn, nearshore communications manager for WDFW. Valuable shellfish beds in that area have been closed because of pollution, he noted. Design of the project, including the new bridge, is expected to cost between $7 million and $10 million, with the state’s portion listed in the capital budget now working its way through the Legislature. 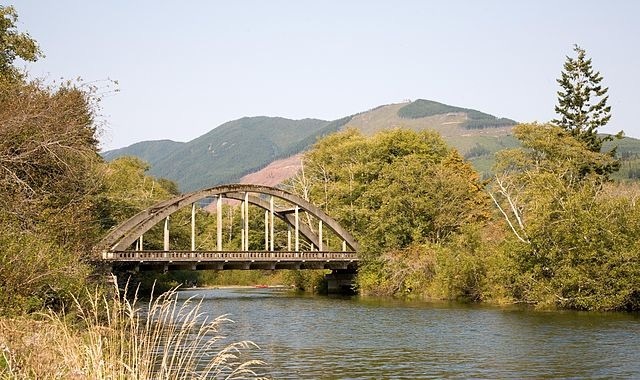 Bridge design will be under the jurisdiction of the Washington State Department of Transportation. Public meetings about the project are expected to begin in early summer in Brinnon as part of the state’s environmental review. The design phase is expected to take two to three years. 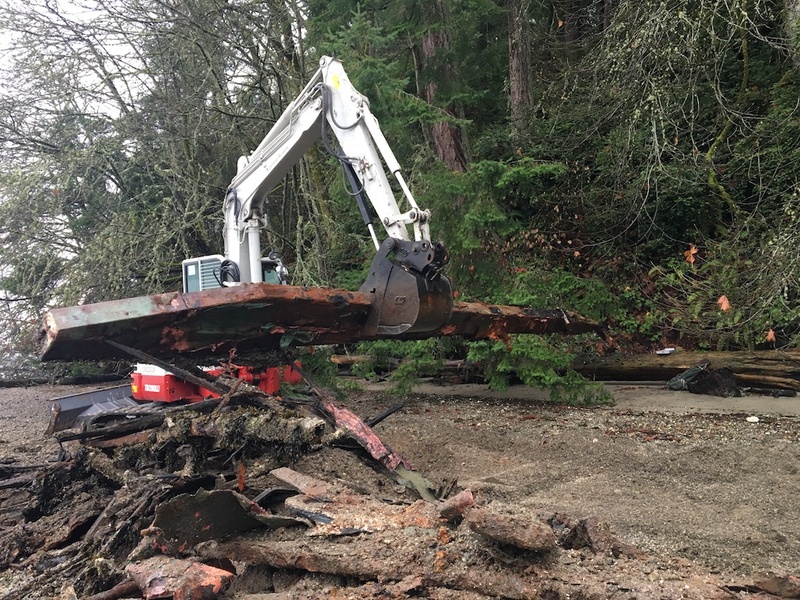 “It’s great to initiate the design phase with WDFW on a project that will benefit Puget Sound’s chinook and orcas at such a critical time,” said Col. Mark Geraldi, Seattle District commander for the Corps of Engineers. 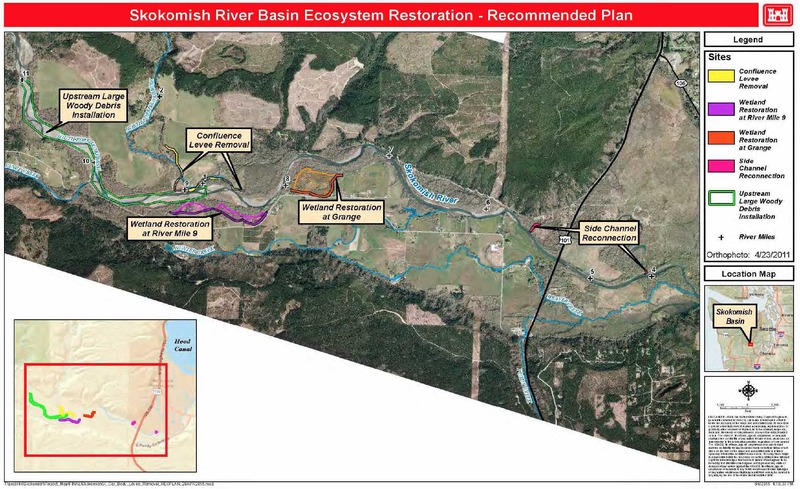 The other two top-ranking projects that need further discussion before moving into design involve a 1,800-acre restoration of the Nooksack River estuary and a floodplain/wetland restoration in the North Fork of the Skagit River. See Water Ways, Dec. 17, 2016. A conceptual map of the Duckabush River estuary project includes a long bridge spanning the estuary (white). Click twice to enlarge.